Click title to view video. Dec. 9, 2009 Brooklyn, NY. Mayor Bloomberg announced the closing of over 20 public schools. 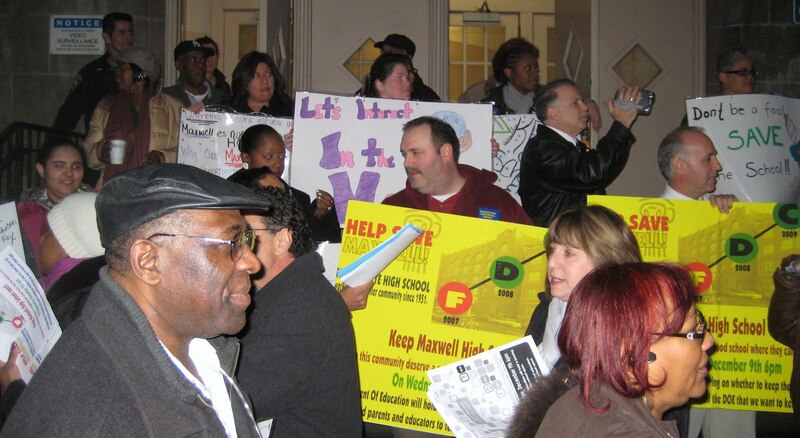 Maxwell High denounces this unfair callous attempt to privatize with charter schools. Over 250 people protested outside and then inside against the Dept of Education and the complicity of the District Superintendent. Teachers, parents, students and community are organizing locally and citywide to stop this wholesale ruthless assault on public education and school-workers. 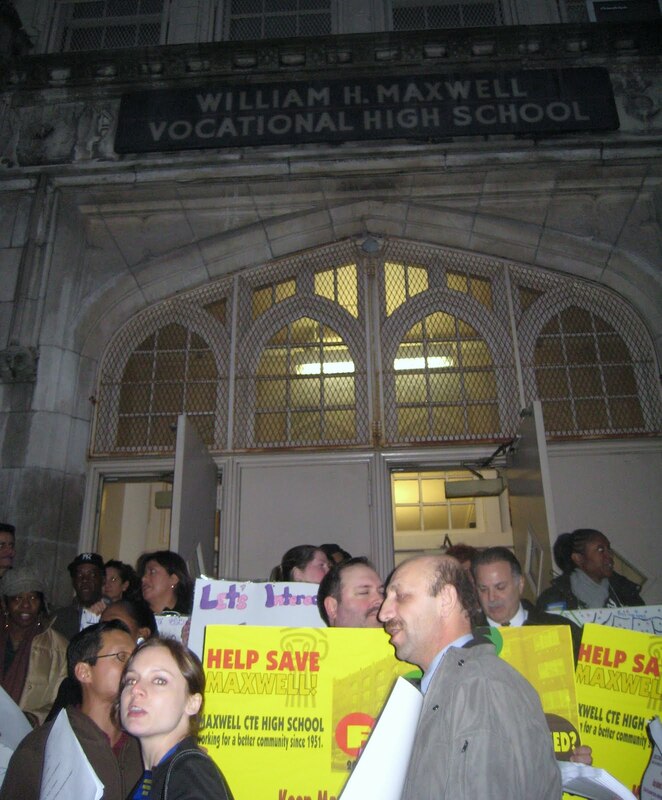 « UFT Mulgrew Applauds Barron: "Shut Down Tweed"